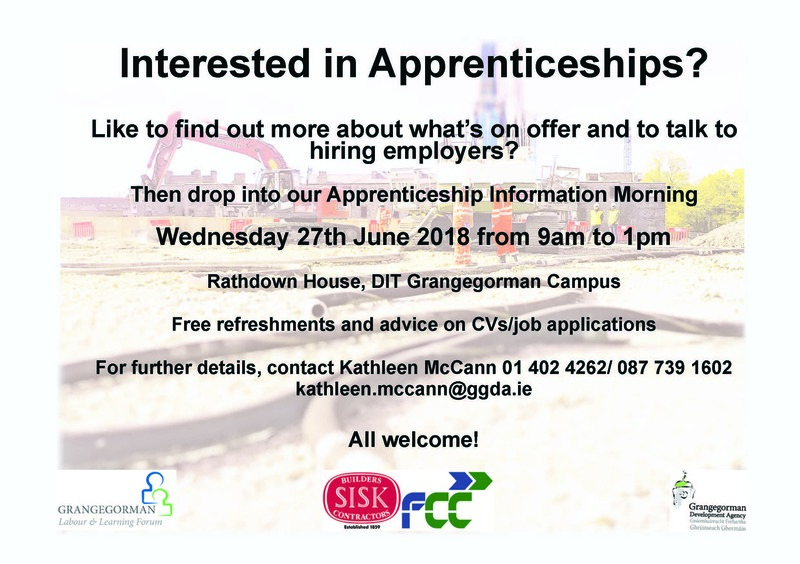 The Grangegorman Labour and Learning Forum in conjunction with Sisk FCC and the GDA will be holding an apprenticeship information morning in Rathdown House on the Grangegorman Campus from 9am to 1pm on Wednesday 27th June. 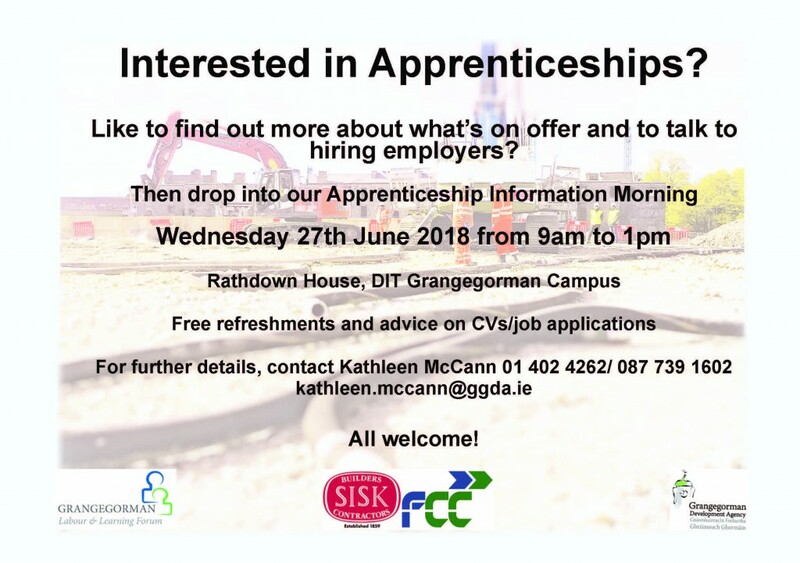 The aim of this free event is to provide an opportunity for anyone interested in apprenticeships in construction to meet Sisk FCC and other contractors who are currently recruiting apprentices and to find out more about what’s available. Recruitment opportunities are likely to be mainly in mechanical, electrical and carpentry/joinery fields. We’ll have some current apprentices present, practical demonstrations, supports on CV writing, applications, interviews, etc., and refreshments. There’s no need to register – just drop in on the day between 9am and 1pm.